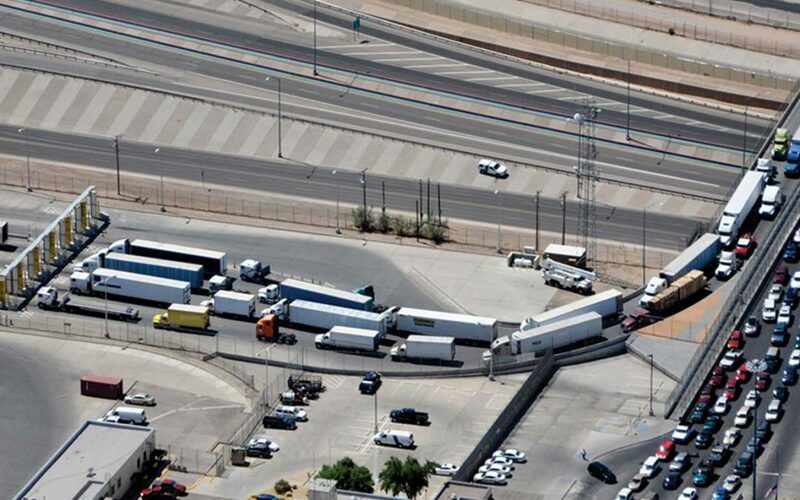 El Paso Texas Border Logistics Crossing Challenges | Pedraza Freight Brokers, Inc. It has been well versed upon the modern-day trading behemoths in general that world has been more inter-connected than ever before. The trading practices have witnessed a drastic shift and with more and more borders held open for trading practices, the world has transformed into a huge market. Much has been done to simplify the rules when it comes to trade between countries and a lot more is underway for the future. One of the gateways to modern day trading is the El Paso Texas border which has been acting as a bridge at least for the last 170 years. This little town El Paso along with its neighbor Ciudad Juarez has been functioning as a single unit. 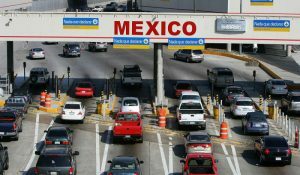 This border has witnessed whopping volumes of trading for a long time mostly because Mexico has been poised to conquer the leading role when it comes to importing as well as exporting. The surge in the trading practices is mostly because Mexico embracing free trade agreements from almost forty-four countries. The labor cost is low as well. Its proximity to the united states customer base makes is a preferred destination and Mexico is also the second largest supplier to the united states in terms of fruits, wine, beer, vegetables, and snack food. Eighty percent of the total exports from Mexico is bound to the united states. Just last year the goods and services between Mexico and the united states totaled to a sum of $616.6 billion. Exports from the united states stood at $276.2 billion and imports totaled to a whopping $340.3 billion. Mexico stands on the 2nd position when it comes to goods export and import market with united states. (1). For the majority of the businesses the assembly plants around the US- Mexico border is preferred as an option of a viable and robust alternative. The growth has been absolutely incredible so far and this region has a good demand for electronic components, aviation, and automotive industries. With almost 3000 trucks crossing the border each day, the number is surging with increased footfall every month. March 2018, recorded a total number of 67892 loaded trucks, 4183 fully loaded rail containers, 44536 loaded truck containers registering on the border. (2). The border has registered almost 500 assembly plants and the border economy has been on growth since 2008. There is no doubt about the extreme importance of the El Paso Texas border. The trading volume is enormous and the proximity to the United States plays a crucial role. Besides these favorable facts, logistics around these borders continues to be more and more challenging due to a number of factors including the trade imbalances, customs issues, political discourse, regulations, and crime. These issues have made it a task to continue a smooth flow of goods and service and efforts are underway to minimize the hindrances, but the instability makes it a difficult pass for manufacturers to rely on a smooth transit. The trade imbalances and regulations are a major hiccup when talking about the seamless flow of goods and services. One of the major concerns is the flow of trailers to and fro between the United States and Mexico. The flow of goods from Mexico to the united states is much greater than the vice versa and this results in an imbalance of transportation equipment. The trucks that are northbound sometimes unloaded at the border or at their final destination- The united states. These trucks return empty sometimes because of the scantly or lesser supply from the united states to Mexico. The United States carriers are also reluctant on sending empty trailers to Mexico owing to the strict regulations including the prohibition from being hauled by the united states tractors. The tractors on the Mexican highways are required to be owned and operated by Mexicans only. This is the reason that companies often indulge in cross-docking in the border-free zone. These companies then undertake the transportation of goods from Mexico to the states. The trade imbalance in northbound and southbound exchange has kept on expanding lately as Mexico has turned into a favored nation for assembling and an ever-increasing number of organizations have close sourced activities from Asia to Mexico. Furthermore, more Asian products are presently being delivered into Mexico straightforwardly by means of the sea, which has additionally disturbed the adjust of inbound/outbound limit. Furthermore, the truckers crossing the border go through rigorous and frequent checks and sometimes the crossing time goes up to four hours and more adding to the chaos of crossing the border. The customs clearance on the border is not an easy job for many. One of the most prominent reasons for the same is a little or no knowledge of the legal proceedings on the border as many formalities keep on changing every now and then. The trading parties need to be registered with the official registrar of importers in Mexico. This enrolling is quite necessary, and the registration makes the party recognized by Mexican tax authority. Several documents or pediments need to be in clear order for smooth transit. These documents include a commercial invoice, certificate of origin, identification of part numbers and brand information, certificate of volume and weight, NAFTA certificate etc. The customs process makes it mandatory to classify goods into the HS code also known as Harmonised tariff code system. There are various other customs formalities that need to be undertaken before the sending good into transit or else the shipment is going to get stuck costing the reputation and resources of the company. Right now, one of the concerns of trading businesses is that NAFTA is undergoing a serious threat and the administration in the united states is trying to put a plug on it. The threat is still in words and in future, it remains to be seen whether it is genuine or just a negotiating tactic as the withdrawal of NAFTA will be extremely harmful to the economies concerning the imports and exports. Drug-related savagery and cartels attract a considerable measure of media attention in Mexico. The brutality, and the dread it causes costs the Mexican economy one to two percent in yearly GDP, as per financial specialist gauges. While shippers must avoid potential risk to ensure their cargo as it travels the nation, most don’t see security as a factor that would block them from seeking after development in Mexico. The security has been consistently improved upon and this challenge has been overcome to a very large extent. How can Pedraza make the transit SMOOTH? It is no secret that the El Paso Texas border is not a smooth sail for many. Transportation imbalances and strict regulations make it quite a task. Pedraza simplifies the entire process for you by providing a strong network of transportation providers that not only ensure timely delivery but also keep the reliability intact. Our dedicated customs clearance house has in-depth knowledge of the border proceedings and we can handle all the paperwork for you. The safety is no more a concern with our dedicated tracking mechanisms. With our C-TPAT membership, we ensure that there are no delays due to CBP inspections and your shipment will get a priority on the border. We ensure enhanced security throughout the supply chain with our C-TPAT security specialists that are at your service all the time. Our consultation is just a second away.